Welcome to the official discussion thread for Splatoon 2 on the Switch! To start, please add this game to your log, add it to your collection (if applicable), and (when you are ready) rate it using the link above! Nintendo knows when it's got something good on its hands. 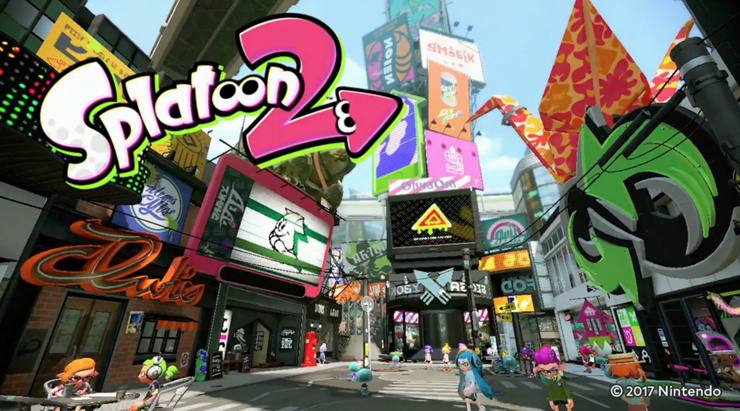 Splatoon 2, alluded to in Nintendo's 2015 Fall Preview of the Switch, has finally been blown out in glorious fashion at the January 12th/13th event. What are you most excited about from the trailer? What are you most hopeful for? Are you buying at launch? When do you think launch will be? New stages! New modes! New hairstyles! New clothes! New music! New photo mode! Virtual blowjobs! Great now I have to play this tonight instead of Mario or Rocket League. This stupid system has too many games. That's one hell of an update! This game keeps on giving...and I still haven't finished the single player campaign. I spoke too soon, sorry everyone! It appears our gaming sessions today will have to be as scheduled. The Splatoon 2 update is split in two parts, one coming this thursday, and the other mid-december. 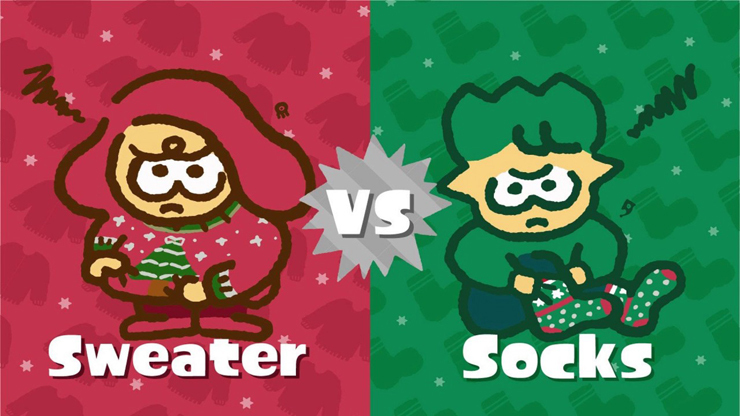 Today's NA Splatfest is to pick the better of two crappy Christmas gifts! There's the Sweater or the Socks! I am on Team Socks myself! I naturally woke up at 4:40 am this morning... so naturally I hopped on to Splatoon 2 for the Splatfest. After 28 matches I am now a Socks Queen and I've done my part. Maybe I'll play again later but I discovered a leaky roof situation midway through the Splatfest... very concerning indeed. However, quick stats for anyone who cares (aka just me). That new Shifty Station is a ton of fun. I really hope that Nintendo throws these into the rotations later on when Splatfests are truly over. This one has a symmetrical diagonal style design with some rotating ink pathways like in the single player. Thus a giant circle is constantly refreshing in the middle, making for tricky spots to get out of but also a lot more inking and specials as a result. Totally sweet. On that stage I won two-thirds of the time while playing it. However as noted above, I won the most while playing Manta Maria. I won every time I was on that stage, which was four. My worst stage this time was The Reef, where I only won 40% of the time there. My average special use per stage was pretty even amongst them all at about three times. My average splats per game was 6. It was nice to only play against my fellow Socks brethren once out of the 28 matches. It's either heavily Sweaters for popularity or it's just really even. This is always exciting. I suspect that maybe it's slightly edging to Sweater based on my time this morning for popularity however I felt my Socks teammates were playing hard. It'll be a lot to take us down! Get out there and play today folks!!! My son got some eShop cards for Christmas, so he decided to download this. So I now own Splatoon 2! He play on your account or have his own? If he wants, share my code with him and I'll play with him. Maybe let me know his code it make so I can recognize it. Splatoon 2 is the only Switch game I've played in days. 160 hours later, still my go-to game when I turn on the Switch. With the constant updates it literally stays fresh all the time. Clam Blitz is a really fun mode and I keep checking my phone for when the next session is available. Hadn't played this in forever, but since my nephew got a Switch for christmas I joined him in Splatoon 2 today, and daaaamn is this fun! It's kind of tragic that I'm still only level 12 in this, while being 50-something in Doom. Even more tragic that I got a five minute ban for getting kicked out of match just now, though. Does anyone here still play Salmon Run? I've been playing it most evenings that it's been up, it's a lot of fun! I usually play with two friends, so we often have one slot open if anyone from here would like to hop in. 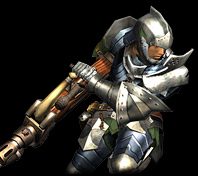 I should get back to this game. It's so fun. An ethernet adapter is a must for the Switch! I usually go for Clam Blitz if it's up, then Turf War, then other Ranked Modes. 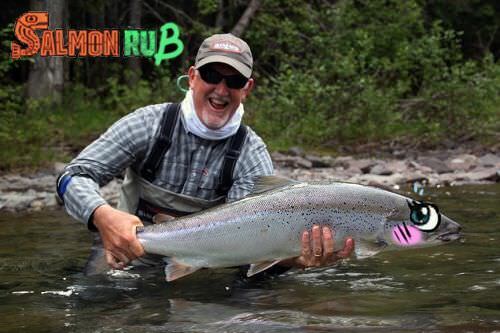 I only play Salmon if others are playing at the time really. You should! The new stage released tonight! It's really fun. Shellendorf Institute. What a great name. What a great game!